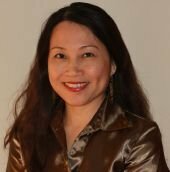 Janice Lua has a MSc (UK) in Technology Management and a MBA (Australia) in Entrepreneurial Management. She has more than 10 years of experience in the private sector (MNC and SME, manufac-turing and service), more than 10 years in the public sector including 4 years of experience with the people sector. Her experience covers a range of functions from computer programming, systems analysis / design, quality management, project management, business process re-engineering, systems / process improvements, quality service management, organisational diagnosis and change management. Besides conducting team building, creativity & innovation and corporate planning workshops, she has facilitated local, regional and international meetings using methods such as The World CafÃ© (TWC), Open Space Technology (OST) and Future Search (FS). She is a Senior National Business Excellence Assessor (Green Jacketer), ISO9000 Auditor, Business Continuity Certified Planner, Certified Management Consultant, Certified Behavioural Consultant for DISC, 7-Habits Facilitator, Certified Strength Deployment InventoryÂ® Facilitator, PMI certified Project Management Professional, IAF Certified Professional Facilitator and INIFAC Certified Master Facilitator. She is the co-founder of Facilitators Network Singapore and co-author of SPOT on Facilitation.